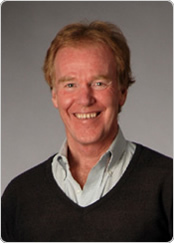 Peter M. Senge is the author of The Necessary Revolution: How Individuals and Organizations Are Working Together to Create a Sustainable World, released in 2008, and a a senior lecturer at the Massachusetts Institute of Technology. He is also founding chair of the Society for Organizational Learning (SoL), a global community of corporations, researchers, and consultants dedicated to the "interdependent development of people and their institutions." He is also the author of the widely acclaimed management organization book, The Fifth Discipline: The Art and Practice of The Learning Organization. 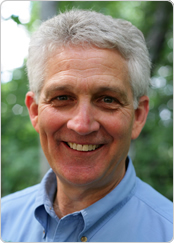 Allen L. White is Vice President and Senior Fellow, Tellus Institute, Boston, and directs the institute's corporate redesign program. 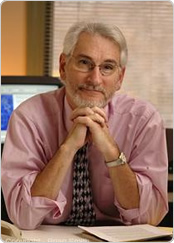 Dr. White co-founded the Global Reporting Initiative in 1997 and served as Chief Executive through 2002. In 2004, he co-founded and now directs Corporation 2020, an initiative focused on designing future corporations to sustain social purpose. He advises multilaterals, foundations, corporations, and NGOs on corporate responsibility and sustainability strategy, policy, and practice. Dr. White has served on advisory boards and committees of the International Corporate Governance Network, ISO, Civic Capital, and Instituto Ethos (Brazil) and is Senior Advisor to Business for Social Responsibility. 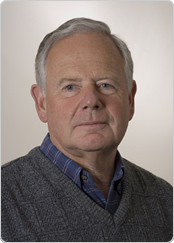 Alan Willis, a Canadian Chartered Accountant, is a consultant who advises the Canadian Institute of Chartered Accountants (CICA) on governance, sustainability and business reporting. He served on the Steering Committee of the Global Reporting Initiative from its start-up in 1997 until 2002, and chaired its Verification Working Group. He recently represented the CICA at the Prince of Wales' Forum on Accounting for Sustainability at St. James's Palace in London. Dale Penny is the President and CEO of the Student Conservation Association (SCA), has more than 30 years of non-profit leadership experience in youth development, strategic planning and conservation service. During his tenure, Mr. Penny has been at the forefront of helping SCA become the nation's leading provider of conservation service opportunities for young people by engaging them in hands-on service to the land and to their local communities. Geoff Boraston, Director of Environmental Affairs, Granite Construction Inc.
Karen Carter, Director Compliance & Risk Management, Ashland Inc.
James Kendrick, Director, EHS Training, Textron Inc.
Brent Ross, EHS Manager, Associated Electric Cooperative Inc.
Steven Ward, Corporate Director Environmental, Health & Safety, FMC Technologies, Inc.